I may act immature and stubborn, but I know one thing for sure in my heart: I have never loved someone as much as I love you. Happy Valentine's Day. 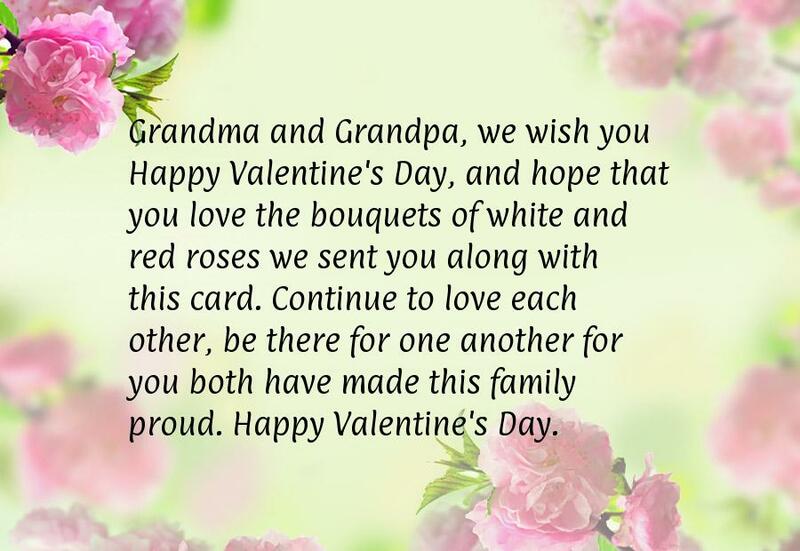 Grandma and Grandpa, we wish you Happy Valentine's Day, and hope that you love the bouquets of white and red roses we sent you along with this card. Continue to love each other, be there for one another for you both have made this family proud. Happy Valentine's Day. Baby, I apologize for making you upset, but I have something special for you and only you. So let me give you the best Valentine's Day you have ever had. 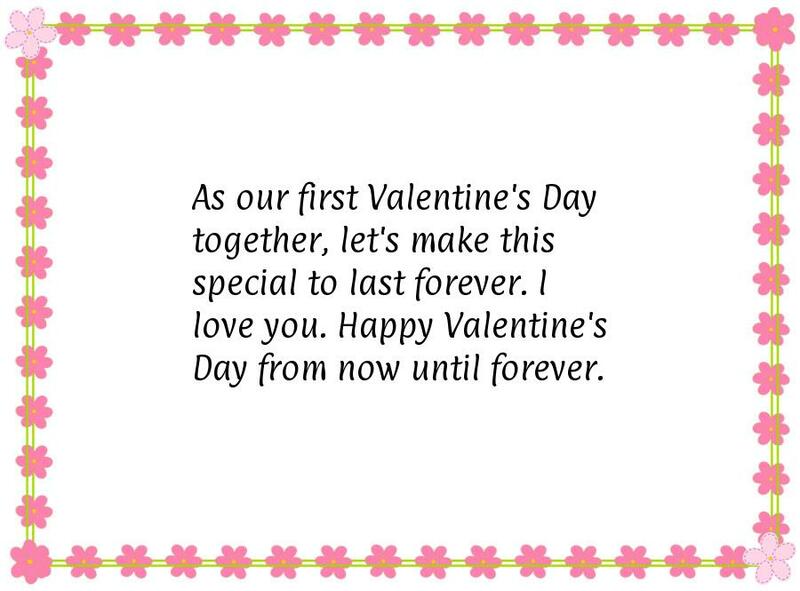 As our first Valentine's Day together, let's make this special to last forever. I love you. Happy Valentine's Day from now until forever. 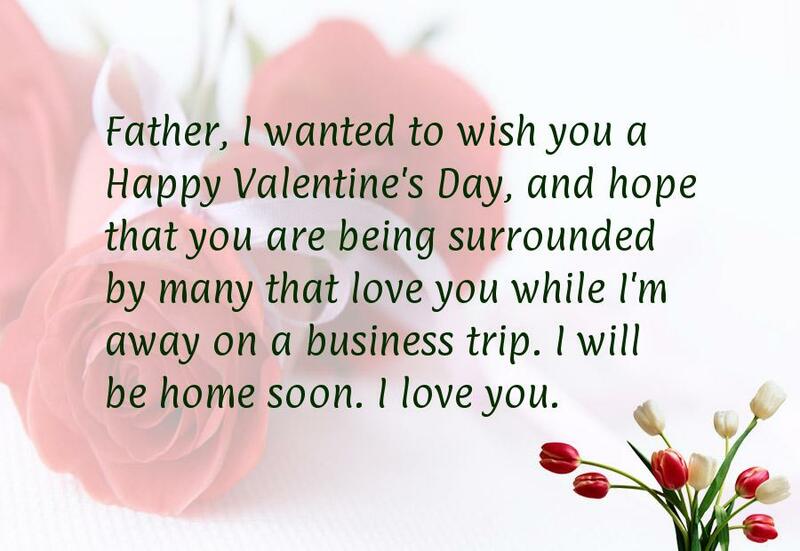 Father, I wanted to wish you a Happy Valentine's Day, and hope that you are being surrounded by many that love you while I'm away on a business trip. I will be home soon. I love you. Hey Best Friend! 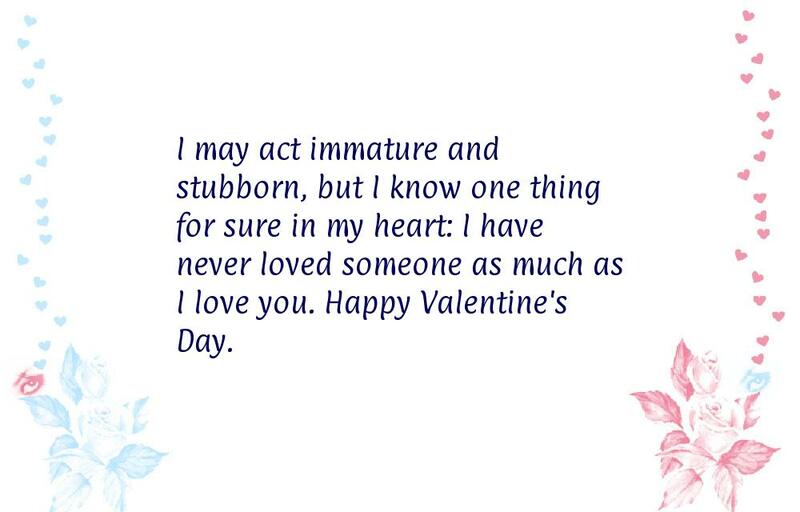 I wanted to wish you a Happy Valentine's Day, even though I'm not there to celebrate it with you. 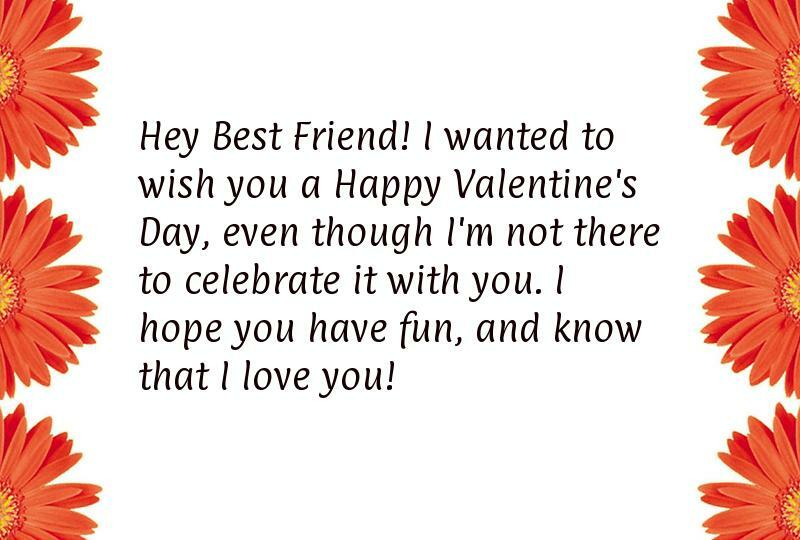 I hope you have fun, and know that I love you!